Contenders for Car of the Year Award | What Car? The What Car? 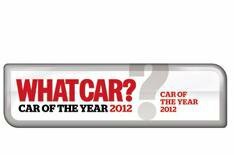 Car of the Year Awards 2012, will take place at London's Grosvenor House Hotel tonight, but what car will take the industry's ultimate accolade? For the first time, What Car? has revealed the cars in contention for its coveted Car of the Year Awards ahead of the ceremony. What Car? editor-in-chief Chas Hallett said: 'The decision-making process this year has been harder than ever, because the automotive industry keeps building better, more economical and more desirable cars that offer consumers great value for money. The objective of the annual What Car? Awards is to let our readers know the best car in every class.